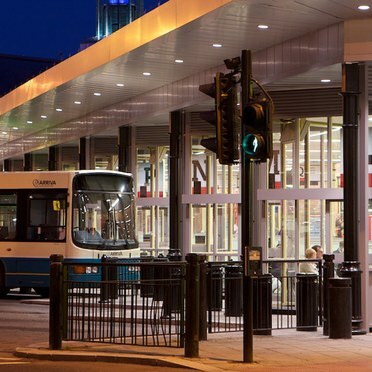 Catch a bus in Newcastle upon Tyne's newly refurbished Haymarket Bus Station – and you'll count your coins for the fare under the white light of Thorn LED downlights. 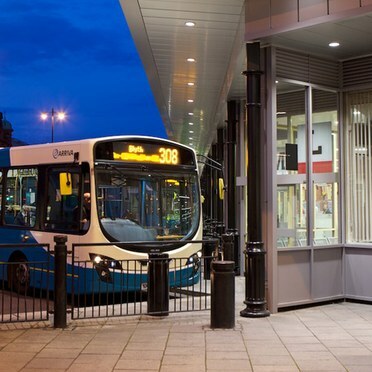 The lighting is part of a £1m modernisation programme which involved replacing the glazed roof with an aluminium standing seam system, and an internal makeover. The BaseLED 18W and Cruz 160 LED downlights are recessed in a suspended ceiling. Because the bus station is a "public space" emergency lighting is required. This is provided by the Voyager LED range and signage by the Voyager Sigma LED. The overall impression is bright, safe and inviting. 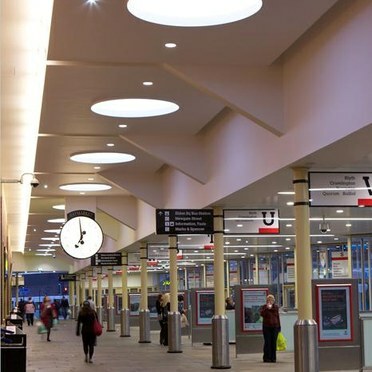 With an estimated 70% of luminaires using LEDs the station operator will also benefit - from the resulting energy efficiency and long lifetimes. Thanks to high luminaire efficacy (≥ 54 lm/W); savings of up to 50% and 75% can be achieved compared with conventional 1x 18/26W CFL or 50/75W halogen downlights respectively. 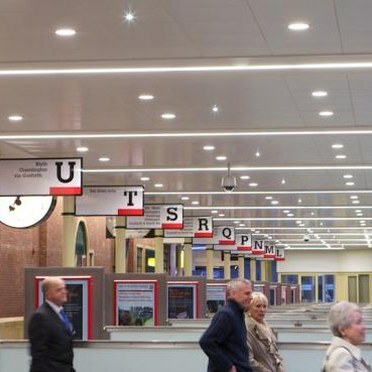 Other plus points in favour of the LED downlights are that they are largely impervious to vibration and, unlike fluorescents, performance improves as temperatures drop. Thorn has also supplied some "Corniche style" custom products housing 1x49W T5 lamps.